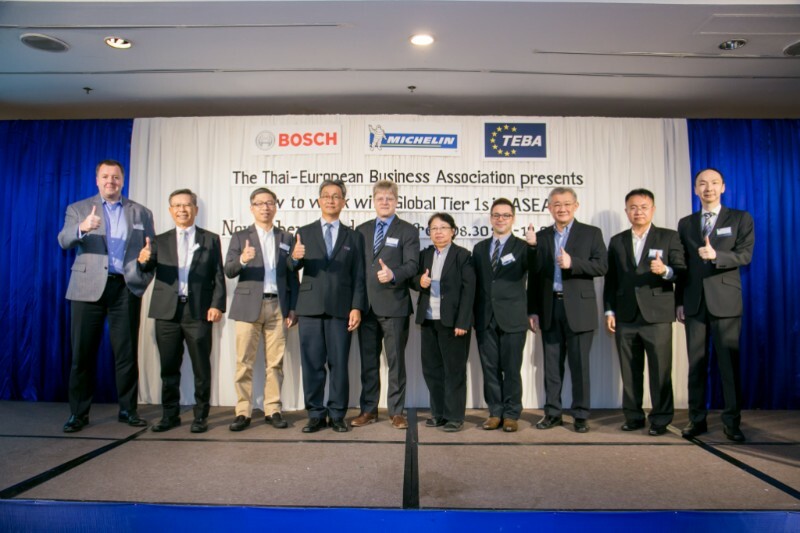 On?November 22nd, 2018, the Thai-European Business Association (TEBA) held its one of its biggest events last week titled “How to work with Global Tier 1s in ASEAN”. 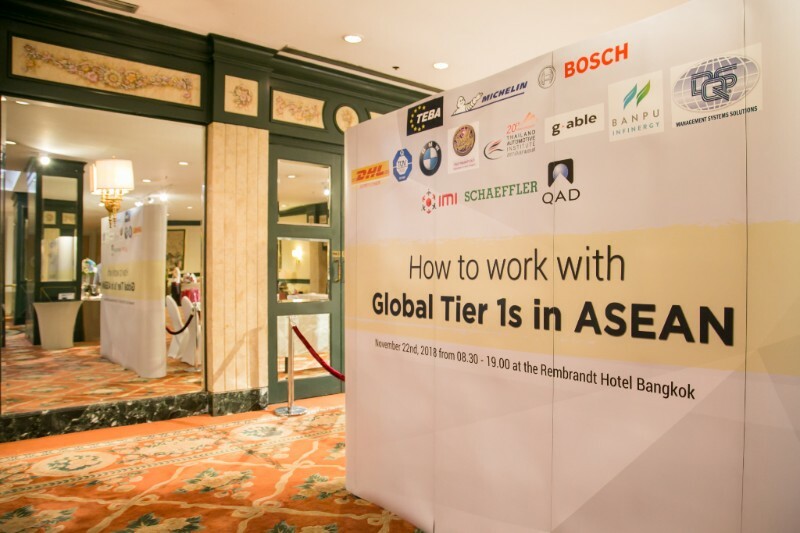 The seminar and networking session?was attended by almost 100 participants from?several companies that are a part of the?Automotive?manufacturings sector as well as other Tier 1/2/3 companies. 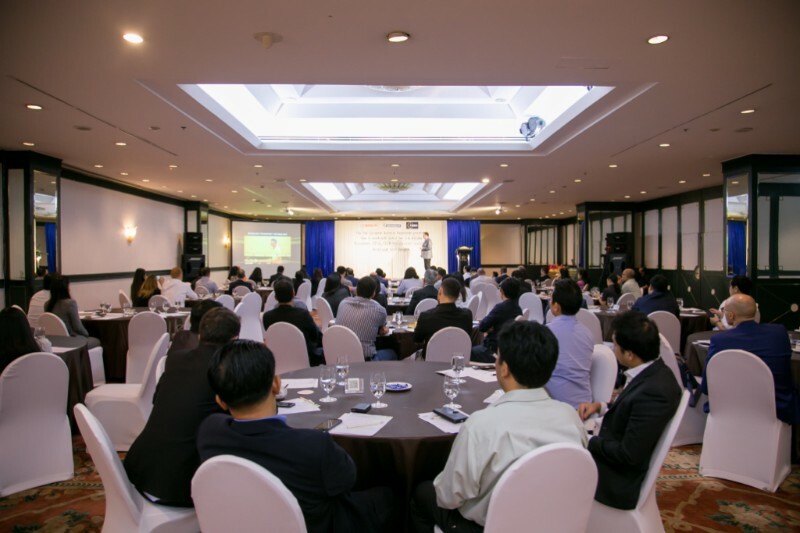 ?The seminar sessions detailed several ways that a company can adapt, overcome obstacles, and evolve in the fast-paced Auto Industry?and?how one can work with the Industry leaders of today to?gain?an edge over the competition. 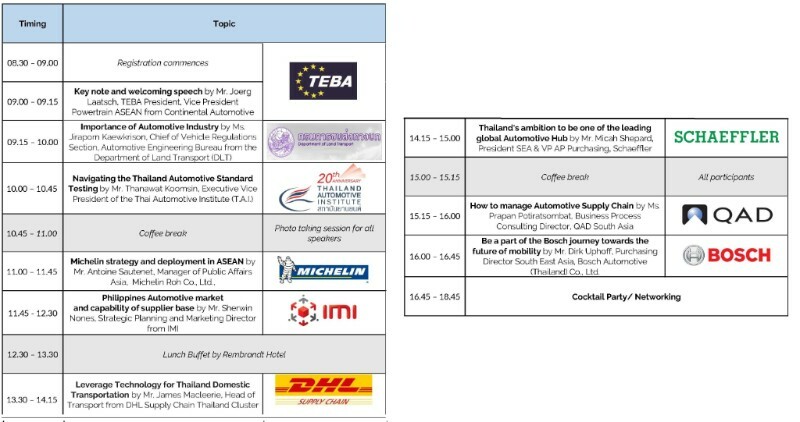 We were also honored?to be joined by Khun?Jiraporn Kaewkrison, the?Chief of Vehicle Regulations Section, Automotive Engineering Bureau from the Department of Land Transport (DLT) and Khun?Thanawat Koomsin, Executive Vice President of the Thai Automotive Institute (T.A.I.) 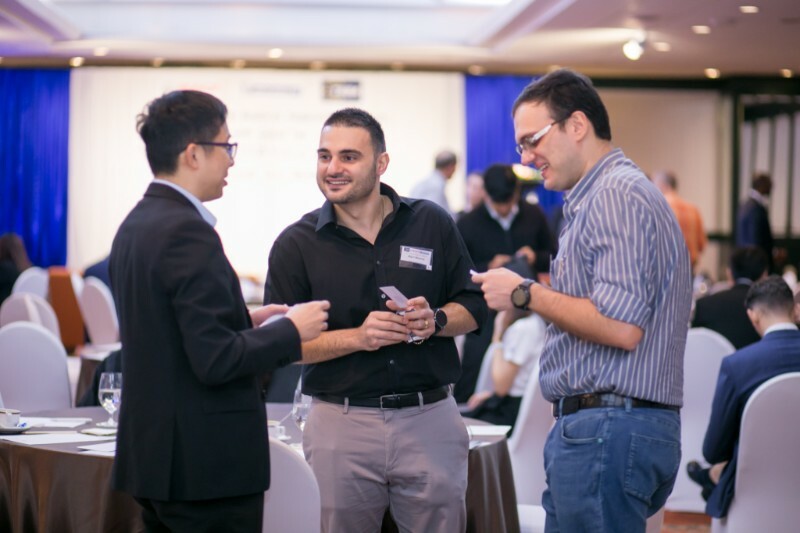 who spoke?about upcoming regulations that will affect Autoparts manufacturers and OEMs?and showed us that the Industry will continue to flourish. 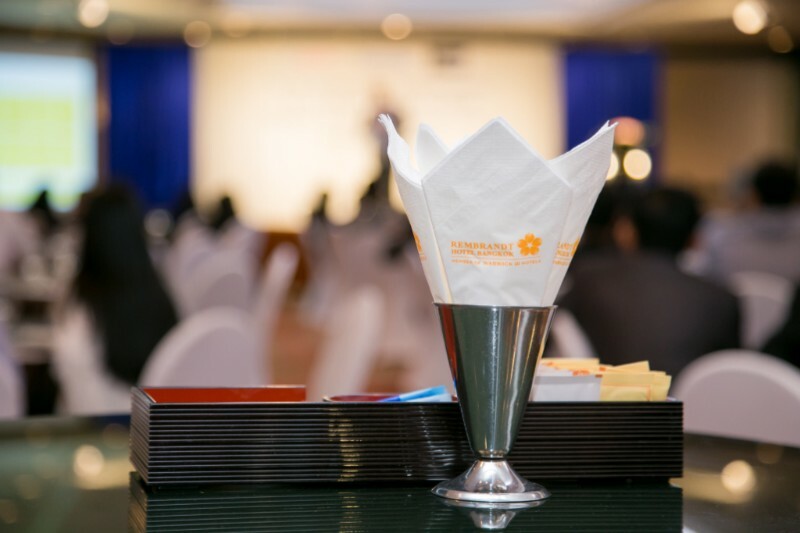 We would like to especially give our gratitude to all of our honored?speakers,?advertisement sponsors, booth sponsors, and last but not the least, our participants who helped make the event a success. 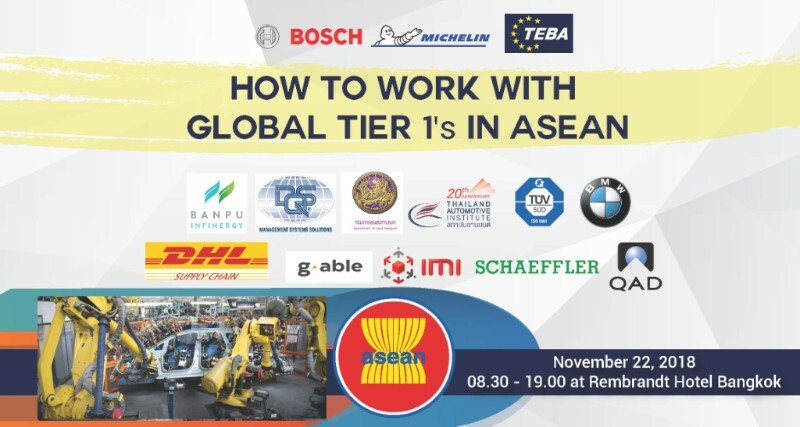 TEBA promises to continue bringing you more and more events like this in the next coming years and we will work harder to facilitate trade and investment in the Automotive Industry. 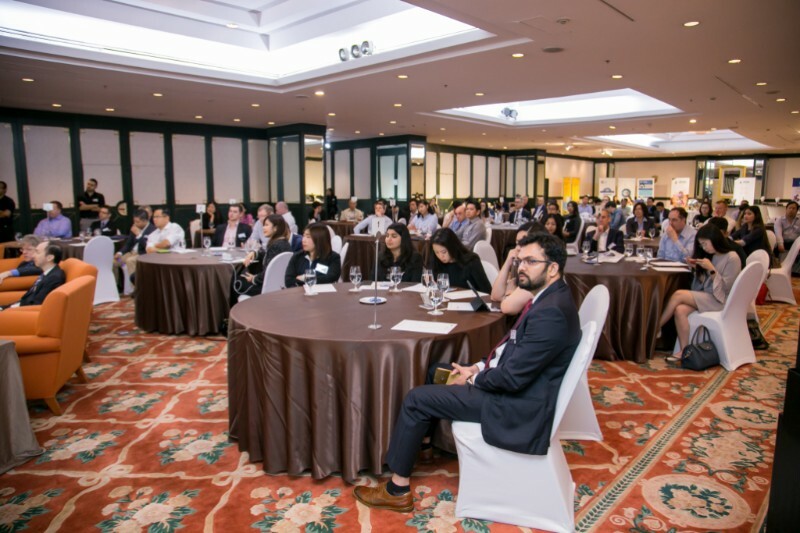 Our members are regularly involved in networking sessions with the direct relevant persons as well as beneficial high-level advocacy meetings with various ministries and departments depending on their needs.